Who better to get advice from but the experts themselves? I have been lucky to be able to connect with experts from across the United States. These experts are dermatologists (also known as skin specialists or skin doctors), plastic surgeons, psychiatrists, psychologists, nutritionists, dentists, and other specialists who have taken the time to share their advice on a wide range of topics to help you live your best life. 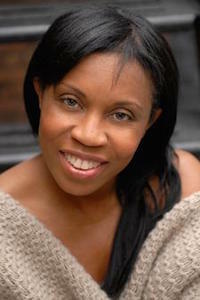 Dr. Ngozi Etufugh is a New York cosmetic dentist and Maxillofacial surgeon. Dr. DeJuliis is a leader in the fields of anti-aging, beauty, nutrition and aesthetic medicine. She uniquely compliments cosmetic procedures with her vast knowledge of nutrition and diet. Dr. Sanjiv Saini, a board-certified dermatologist who has also taught at Howard University and is the coordinating dermatologist for the Washington Nationals baseball team. Dr. Stuart is considered one of San Diego’s leading experts in dermatology and lasers and has been selected as one of American’s top physicians in dermatology. Franci Cohen is a personal trainer, exercise physiologist, and certified nutritionist with a double masters degree in nutrition and exercise physiology. Dr. Bruno is a board certified Plastic Surgeon from Beverly Hills that specializes in cosmetic procedures of the body, face, and breast. Dr. Back specializes in the full range of the most modern and state of the art cosmetic surgery procedures and non-surgical cosmetic enhancement techniques available today. Sherrie Campbell is a licensed Psychologist who specializes in marriage and family therapy, grief counseling, childhood trauma, sexual issues, personality disorders, illness and more. Dr. Douglas is the Medical Director of Nava Health and Vitality Centers. A big thank you to these professionals who took the time to share their expert medical advice with everyone online! If you have any questions you would like answered by an expert, or if you are an expert with advice to give, let me know!